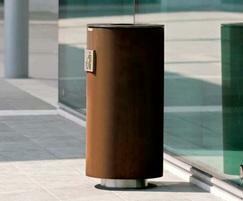 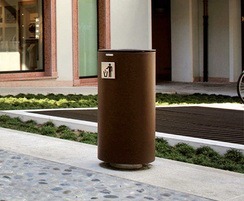 The Spencer Litter Bin consists of a 20/10mm thick, 390mm or 430mm zinced steel sheet cylindrical structure. 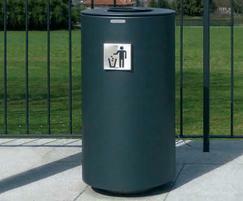 The lid is 395mm or 435mm, 2mm thick, clad zinced steel sheet with a 172mm or 242mm central hole for the rubbish. 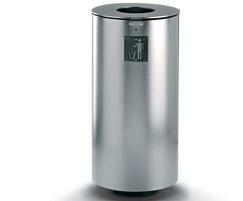 The lid can be provided with a semi-circular ashtray. 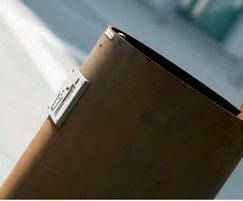 The lid can be pivoted thanks to a special hinge inside the bin, and is locked with a spring-steel blade slam-lock. 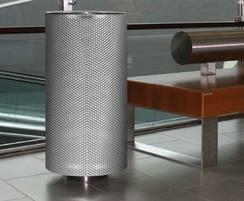 Inside the liner is an 8mm zinced ring, for attaching waste sacks. 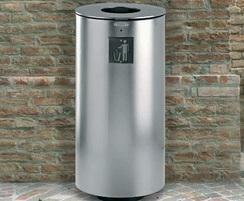 The brushed stainless steel, 219mm or 260mm, 3mm thick base is fixed to the bin with M8 screws. 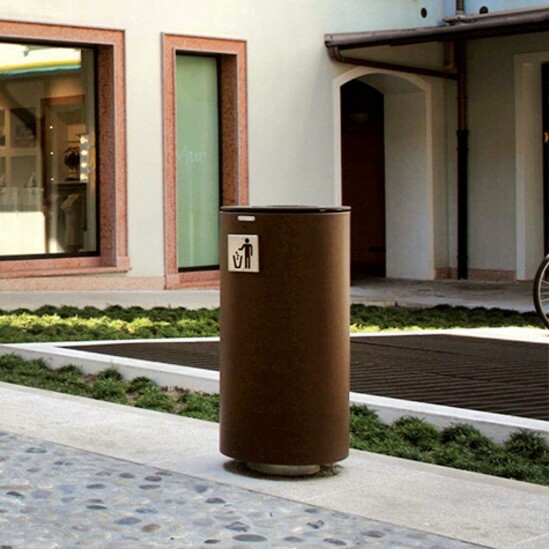 On request and subject to a surcharge, the litter bin can be equipped with a brushed stainless steel plate with a pictogram or logo. 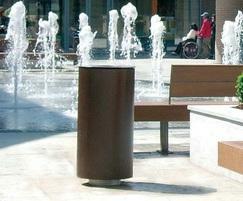 The whole structure is polyester powder coated. 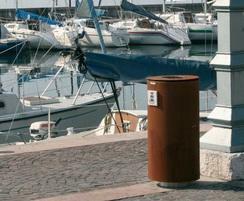 Ground fixing is with suitable steel bolts (not included). 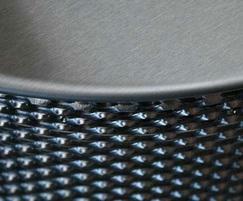 All fixings are stainless steel. 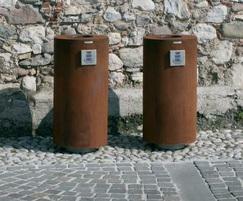 The Spencer is also available in Corten Steel.